Build It In A Minute! Grand Rock Stack Kits! 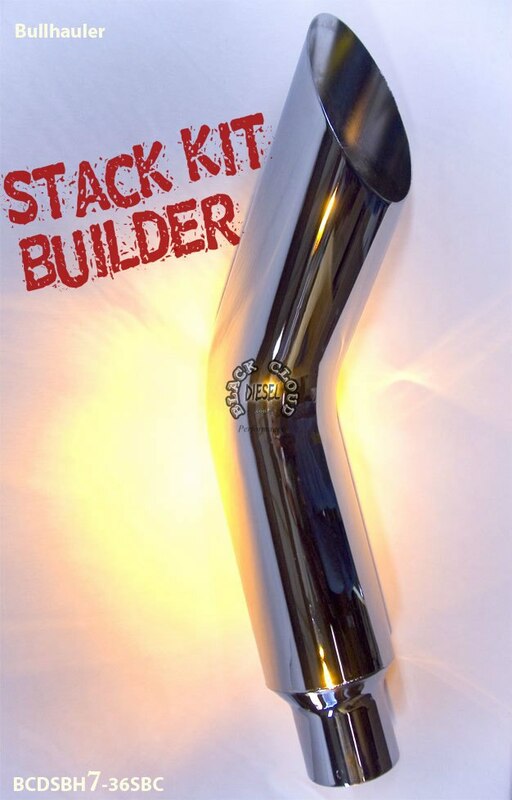 Triple Plated Chrome Stacks and Install Kits for Diesel Pickup Trucks are Universal, Cat Back or Turbo Back Ford Powerstroke Stacks, Dodge Cummins Stacks, GMC Chevy Duramax! Install a Performance Stack Kit to remove exhaust restrictions, improve truck's power and performance, increase fuel mileage/economy, reduce EGT's (exhaust gas temperatures) and increase engine longevity! The standard 36" stack will come 1-2” above cab when installed with Grand Rock Kits. 48” and 60” stacks available in Lower 48. Choose from 5 Stack Styles: Straight, Mitre, Turn Out, Aussie, and Bull Hauler. You will love the look & quality! *It is the Sole Responsibility of the purchaser to be sure any part or modification made to a vehicle adheres to any local, state or any other laws, ordinances, etc. The standard stack length is 36” long, which brings the stacks up to level with the cab or approximately 2” over the cab. Both 48” and 60” stacks are also available. The cat back Stack Installation Kit adds approximately 10” of length to the stacks because of the T-Pipe mounted in the bed. There is only one hole that needs to be cut in the bed, which is for the T-Pipe. All the piping in the kit is commercial grade aluminized steel. All clamps are heavy duty and Zinc coated for durability. The kit piping transitions from 4” to 5” and all piping above the bed is 5”. 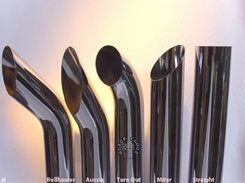 Complete 5” kits are available for 5” exhausts. For optimal performance, the ideal ehaust size for diesel trucks is 4” except for trucks making extreme horsepower. 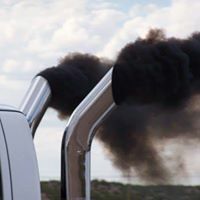 Install a Performance Stack Exhaust Kit to remove stock exhaust restrictions, improve your truck's power and performance, increases fuel mileage/economy, reduce exhaust gas temperatures (lower EGTs) and increases the longevity of your truck's engine. Universal Cat Back Stack Bed Kit for Ford, Chevy & Dodge Diesel Trucks. Choose from 5 different styles of stacks: Straight, Mitre, Turn Out, Aussie, and Bull Hauler. You will love the quality & look of these commercial quality, triple plated chrome Grand Rock Stacks! 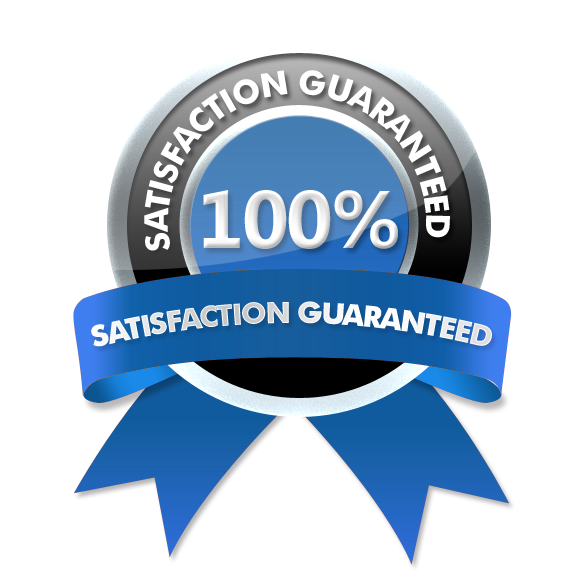 We warehouse a large selection of Grand Rock products for same day shipping. Click here to check out our customer's truck pictures!